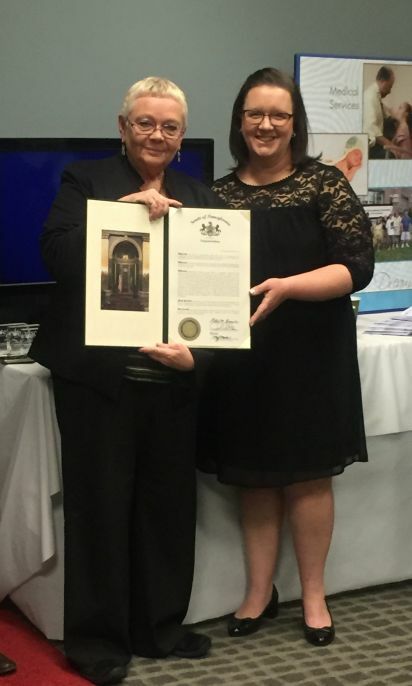 March 15, 2019- Ellen Kern (Left), Chief of Staff for Senator Browne, presents a senate citation to the Eastern Pennsylvania Down Syndrome Center’s Executive Director, Kerri DiDario, in celebration of their 20th anniversary. 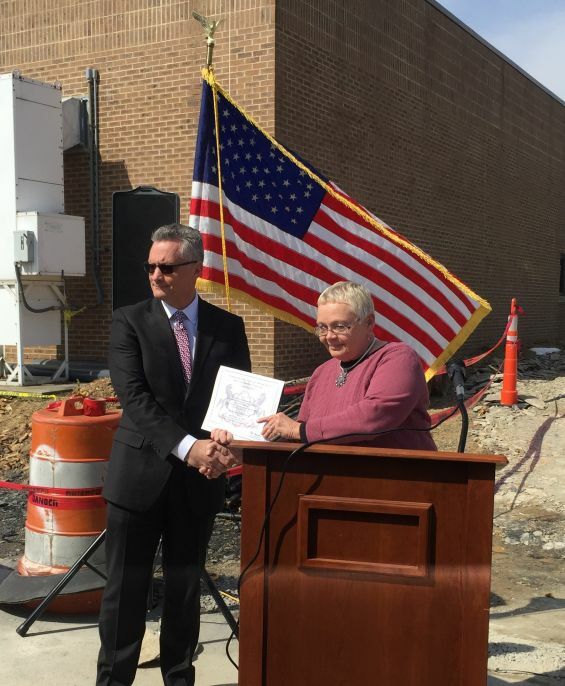 Ellen Kern (Right), Chief of Staff for Senator Browne, helps to break ground on Lehigh Career and Technical Institutes’ (LCTI) new welding lab. 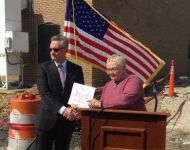 LCTI’s Executive Director, Tim Rushton (Left), received a senate certificate to commemorate the occasion. 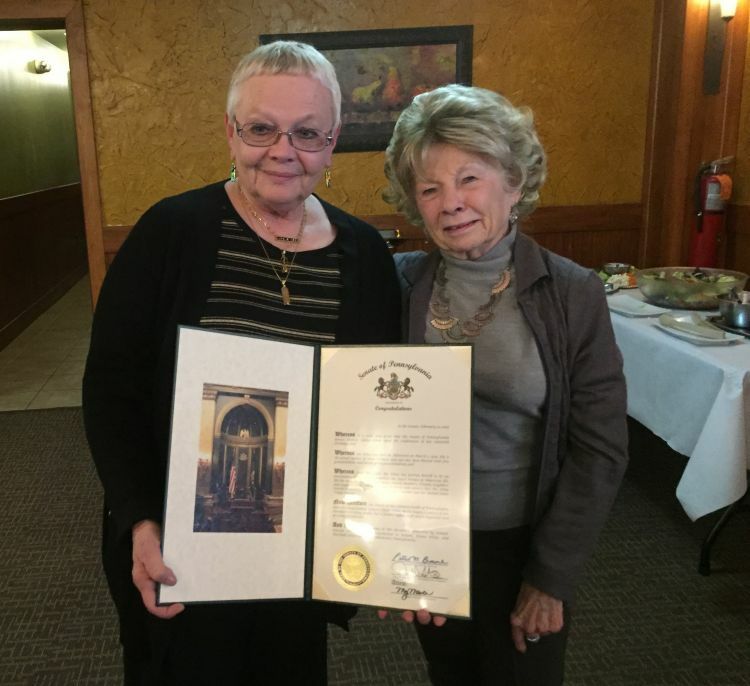 March 9, 2019 - Ellen Kern (Left), Chief of Staff for Senator Browne, presents a senate citation to Dolores Kline in celebration of her 90th Birthday. 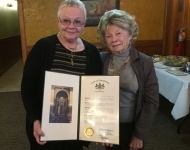 February 27, 2019- Altagracia Mercado (Far Right), Urban Affairs Liaison, presents a Senate citation to the Dominican Cultural Association, in recognition of 175th year of the Dominican Republic’s Independence. 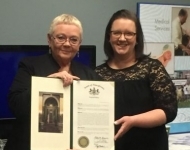 February 23, 2019 - Ellen Kern (left), Chief of Staff for Senator Browne, presents a senate citation to Leah Schwoyer in celebration of her 90th Birthday. 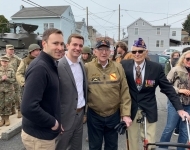 February 22, 2019 - Matt Szuchyt (Middle Left), Deputy Director of Policy and Communications, presents a senate certificate to World War II Veteran Clarence Smoyer (Middle Right). 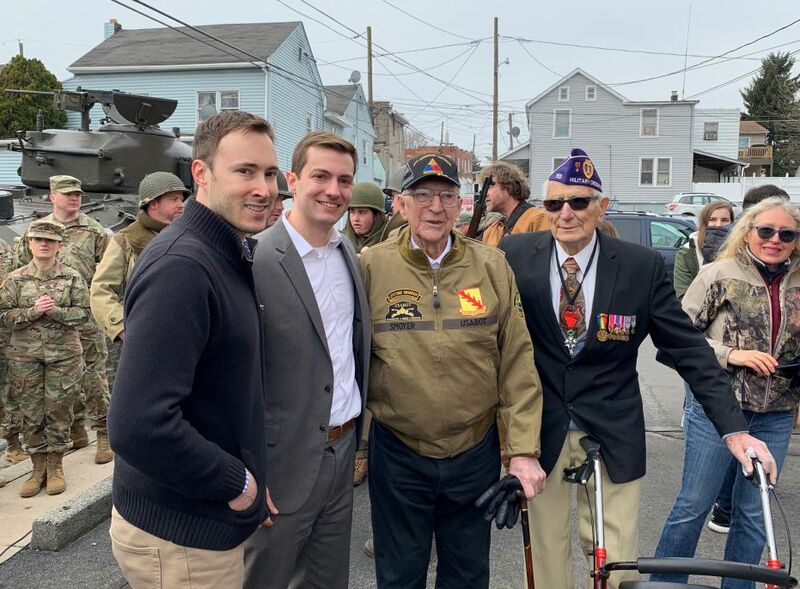 Also pictured is Adam Makos (Far Left), author of “Spearhead” detailing Clarence’s experiences during the war, and Joe Caserta (Far Right), World War II veteran. 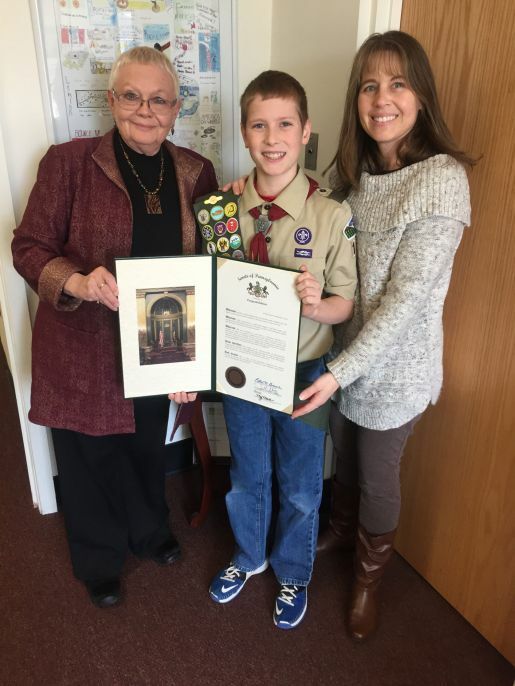 January 25, 2019- Ellen Kern (left), Chief of Staff for Senator Browne, presents a senate proclamation to Matthew Blommel (middle) in recognition of him achieving the rank of Eagle Scout. 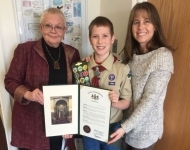 Pictured, right, is Matthew’s mother Kerry Blommel.